Tamiya"s latest TamTech-Gear assembly kit using the GT-01 on-road chassis is this stunning Lamborghini Countach LP500S. 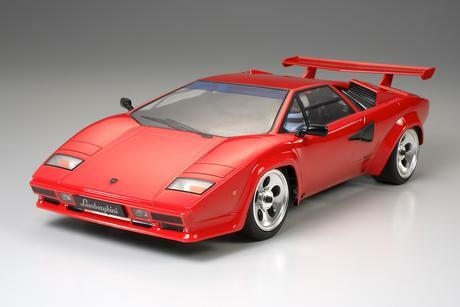 The futuristic, wedge-shaped body of this world-famous supercar has been faithfully reproduced with amazing detail. Add this model to the previously released Porsche Turbo RSR Type 934 (Vaillant & Jagermeister versions) and Ferrari GTO to your TamTech-Gear collection! 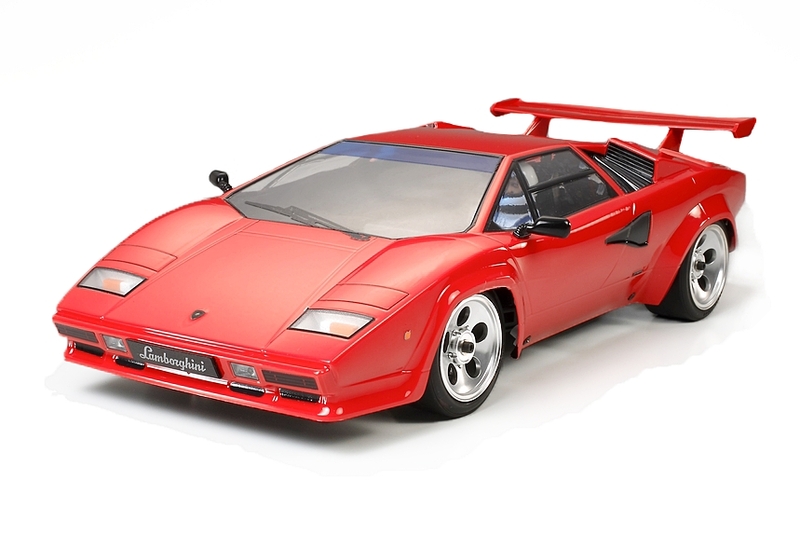 Compact-sized 1/12 scale R/C assembly kit of the Lamborghini Countach LP500S. The GT-01 is a lightweight chassis with low center of gravity, efficient type 370 motor, and rear wheel drive for optimum racing performance. Four wheel independent double wishbone suspension features special horizontally-mounted front dampers. Transmission features ball differential, slipper clutch, and universal shaft with full ball bearings for optimum efficiency. 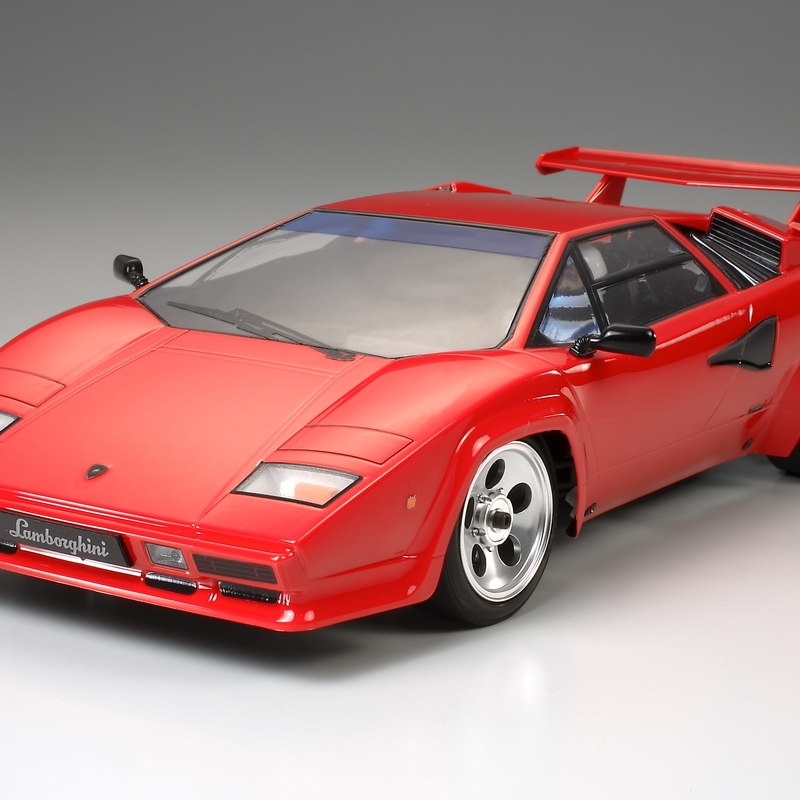 Wedge-shaped body of the Countach is accurately reproduced with lightweight polycarbonate material. Body attaches to chassis using reverse body mounts, and is further secured via innovative side mount system. Includes driver figure and separately-molded parts for side mirrors. ESC, receiver, servo, transmitter, battery and charger are sold separately.